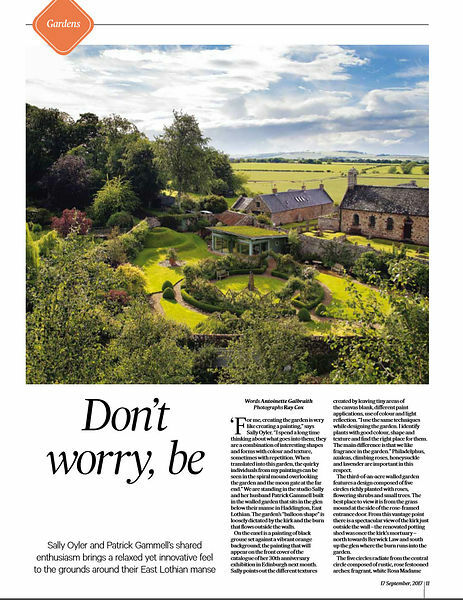 Our recent spread in Scotland on Sunday of the Old Manse at Morham in East Lothian. The garden is the creation of owners Sally Oyler and Patrick Gammell. 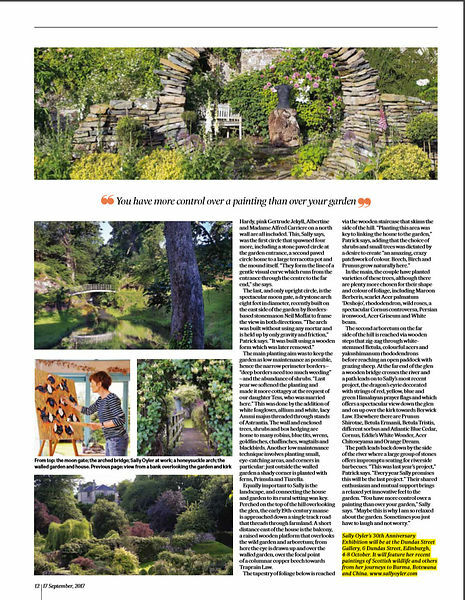 An establised artist, Sally sources much inspiration from the garden and is holding an exhibition of her work between 4 - 8 October at Dundas Gallery in Edinburgh.